You and your EveryDollar budget: It’s a love story for the ages. Think about it. You spend time together every day. Side by side always. In sickness and in health. For richer or for poorer. This is a legit, serious, long-term relationship. Was it love at first sight when you first locked eyes in the app store? Or did it take you three months to warm up to each other? 1. Pinpoint your budgeting why. Why are you budgeting? Take a good look in the mirror and think this one through. “Self,” you can say to your reflection, “Tell me why you want—why you really, really want—to budget.” That is, if you’re into talking to your reflection. Otherwise, just take time to reflect on the question: Why are you budgeting? Is it so you can pay cash for a renovated barn home? Is it to set up the retirement of your dreams? Is it to change your financial family tree and set a good money example for your kids? Is it so you can stop the worry of living paycheck to paycheck? The best part about nailing down this why is so you can think back to it whenever budgeting gets hard. This why is stronger than a for-now denial of that dessert bar or the hard work it may take to save up for something you want. You’re budgeting because you have a why—a very good reason. And you love your budget because it’s the how to the why. 2. Add a “Personal” budget line. Give yourself room to spend some money however you (legally) want. This means you put a line in your budget for you. 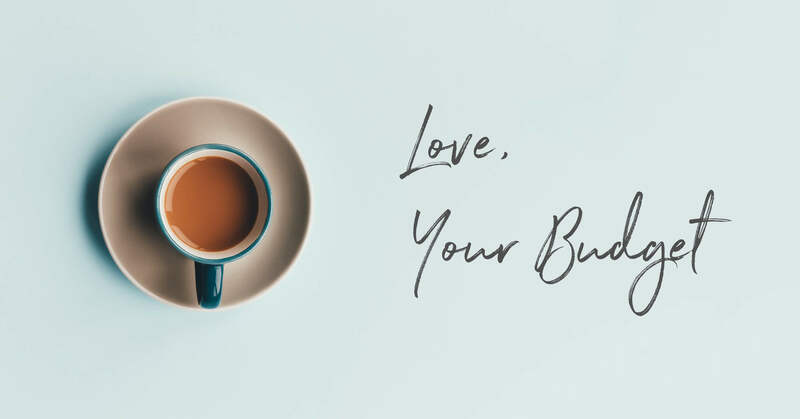 Call it “Personal,” “Fun Money,” or “Treat Yo’ Self.” Call it what you like—it’s one of the best tips for staying in love with your budget. Some months you may need to tighten this line if another line gets out of hand. But giving yourself these splurge bucks helps you have fun without going full cray. This “personal” line is where you track expenses like that cerulean-colored sweater you don’t really need since you already have one in turquoise, one in blue, and one in lapis. But you want it. And you have money in the budget. So. Treat yo’ self. So find someone trustworthy to check in on you and hold you accountable. Someone you can be honest with but don’t want to disappoint. Someone you’d hate to tell, “Oops, I spent all my money on tapas and tap dancing this month,” because that accountability helps you avoid overspending. And if you have someone who will celebrate with you when you crush money goals, you’re more likely to stick to your budget and enjoy it along the way. You, your accountability partner, and EveryDollar—taking down money goals like Harry, Ron and Hermione took down He-Who-Shall-Not-Be-Named. How do goals help you love your budget? Thanks for asking! We know you have big dreams: traveling to London to see Big Ben, paying off all your debt to go from charging things to being in charge, saving up for the wedding of your childhood dreams or the anniversary trip of your adult dreams, etc., etc., etc. These can all happen—with planning. That planning starts with making money goals that you budget into money realities. You’ll love your budget because it’s the way you make that happen. 5. Think in yes rather than in no. Budgeting can feel a lot like saying no to everything. But that’s glass-half-empty thinking. Instead, when you’re feeling negative, think about all the yeses behind the nos. “No, I shouldn’t buy a new car that depreciates 60% in value in just four years” is actually, “Yes, I can adult like a boss and make confident money decisions that will set me up for financial success in life!” That last one sounds way better anyway. Say yes to success. Along the ups and downs of budgeting, you need to remember to award your ups. It’s easy to think about the need to celebrate something big, like becoming totally debt-free. But what about when you pay off the first credit card in your debt snowball? That’s awesome! Go, you! It’s time for a small self-reward that won’t bust your budget—but will remind you that even the small steps are huge leaps in the right direction. 7. Stop comparing. Stop it now! Oh, how we love modern technology. In the blink of an eye, you can find a recipe for tarte aux pêches, directions to a new French restaurant called Maison de Petite Pêche, or a translation for “Maison de Petite Pêche.” But also in the blink of an eye, you can see how perfectly someone else’s peach pie turned out. How nice of a car someone else drives. How tidy and together someone else’s Swiss furniture-covered, color-coordinated living room looks. How easy it becomes to compare. But stop. Stop right now. The deepest way to love your budget is to stop the comparisons and start the contentment. No Instagram feed or page out of a magazine should dictate your purchases or your pleasures. You be you. Let them post as they will. You’ve got better things to do than stress over their staged sense of reality. How? With EveryDollar, of course! Before EveryDollar, everything was anarchy—paper and pencils and spreadsheets and calculators running amuck. Then EveryDollar came and made sense of it all—an easier, clearer, constant budgeting method you can use on your phone and desktop. How versatile. How wonderful. How free. Yes—EveryDollar is free. If you don’t have it yet, try it today! Then you can skip, hand in hand, into the sunset together like the end of the most beautiful budget love story ever written. Nah. It’s still being written every day as you can’t help but fall more and more in love with your budget.